If you are attending a public IHL as a non-resident student or a private IHL that is more expensive than the annual cap you may be eligible for extra payment under the Yellow Ribbon program. Actual net costs for in-state tuition & fees not to exceed $20,235.02 during the academic year. The actual net costs not to exceed $11,562.86 per academic year. The actual net costs not to exceed $9,828.43 per academic year. You can be reimbursed up to $2,000 per test. Your entitlement will be charged one month for every $1,688.18 paid to you rounded to the nearest non-zero whole month;this means even low-cost tests are charged one month of entitlement per test. Your Monthly Housing Allowance (MHA) is generally the same as the military Basic Allowance for Housing (BAH) for an E-5 with dependents. Your MHA is based on the ZIP code for your school. MHA rate increases based on BAH increases are effective August 1 (the beginning date of the academic year). For more information about MHA increases or decreases click here. 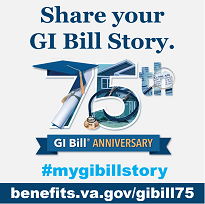 To research monthly housing allowance amounts please visit the GI Bill Comparison Tool. The housing allowance is paid at a percentage based on your training time. For more information click here.